I love listening to music when I write. I know it’s not everyone’s cup of tea, and I’ve met quite a few authors who prefer to write with no distractions, but music works for me. I find it creates a background emotion. There are some songs I return to, time & time again, when my creativity needs a boost. These are songs I play to remind myself that ordinary people can transform themselves into songwriters and create something fantastically beautiful out of thin air –and lots musical talent, of course. When those songs come on the radio, they make me want to drop everything and write. Songs like Hozier’s ‘Take Me to Church’ and Stereophonics’ ‘Graffiti on a Train’ make me turn up the radio to full volume and surrender to their inspiring brilliance. There are other songs, though, that remind me of something I’m already working on. They help ease me back into that piece of writing, and keep me in the mood I’m trying to create. They’re the ones I play quietly in the background while I tap away on my laptop. I had a playlist when I was writing ‘Not Thomas’. The most-played song on that list was Kate Bush’s ‘Moments of Pleasure’. In a previous post, What Wuthering Heights did for me – the confessions of a Kate Bush fan, I wrote about how playing that song helped me evoke the feelings of Tomos, the little boy who’s the central character in my book. I’d hear the music and feel the emotion, even if I hadn’t written about Tomos for months. But there were other songs that helped too. Here’s a few of them, thanks to YouTube. Calon Lân, a well-loved Welsh hymn, was one of my starting points for ‘Not Thomas’. Tomos sings Calon Lân near the start of the book. He’s been taught the words by Nanno – his beloved ‘foster gran’. This version, by Cerys Matthews, is my favourite on YouTube. It’s the childlike quality of her voice that gets me every time. In the case of Calon Lân, the lyrics loosely suited the theme of the book, particularly – and rather sadly – the opening line ‘I don’t ask for a life of luxury’, as Tomos is living in terrible poverty. But most of the songs I listened to didn’t have lyrics that connected to the subject matter. Instead I chose them for the way the music or the tone of the singer’s voice affected me. It was the emotion the singer conveyed that was important. I only have to hear the opening chords of ‘Talk to Me of Mendocino’ by Kate & Anna McGarrigle for my eyes to fill with tears. The music and their voices manage to convey, so beautifully, that sense of longing to be somewhere else. It’s perfect for Tomos, as he constantly longs to be back in the love and safety of his foster parents’ home. And since I’ve already blogged about how important ‘Moments of Pleasure’ by Kate Bush was to me when I was writing ‘Not Thomas’, I ought to include another song of Kate’s which I played a lot too. ‘This Woman’s Work’ is an obvious choice, I suppose, when you think of songs that conjure up vulnerability – it was used by the NSPCC in one of their TV adverts. Again, the opening notes get me every time. This last song, ‘Lost Boy’ by Ruth B, is a cheat. It came out in 2016 and I’d long finished writing ‘Not Thomas’ by then. I was in a dress shop in lovely Llandeilo when I first heard it playing on the shop’s radio. It stopped me in my tracks. I knew by this time that my book would be published and that Tomos’s story would see the light of day, something I’d thought for so many years would never happen. And the realisation that my novel was actually going to be published hit me. I grabbed the nearest frock and hid in the changing room until the moment of realisation – and the tears – had passed. Had Ruth B’s ‘Lost Boy’ come out ten years before, I’d have been playing it as I wrote. It’s Tomos to a tee. I think it’s beautiful. All these songs have something in common – lots of emotion. One comment from an early reader of ‘Not Thomas’ said it should be printed on plastic to save the paper from tears. Maybe my playlist explains why. If you’re a writer, do you ever listen to music while you’re working or do you prefer silence? If you’ve read Not Thomas, can you see any influence from the songs above in the novel? Do you have a single piece of music or a song which you always find inspirational? 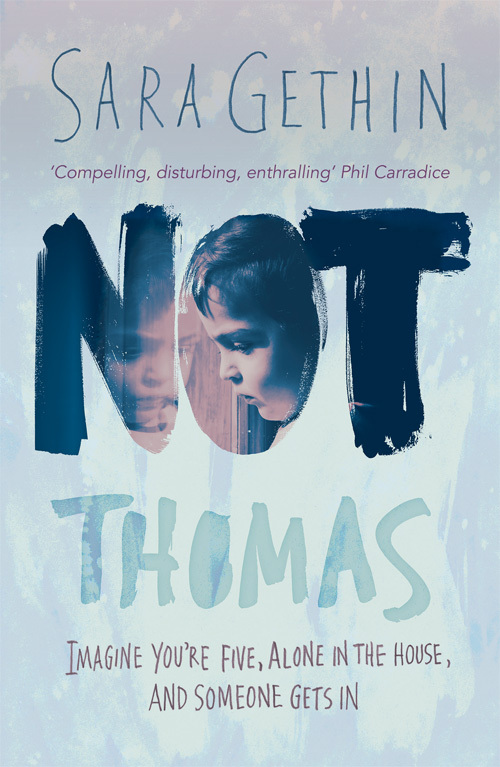 Sara’s debut novel Not Thomas – a story of child neglect and hope – is published by Honno Press and is available in paperback and on Kindle directly through the publisher and also from Amazon. Thanks, Ben. I enjoy finding out how other writers work too. It’s interesting how you prefer silence for writing intense scenes. I tend to need the right music most for those scenes. The only time I like writing in silence is when I’m doing final edits – I need to really concentrate then! You & I have had a version of this conversation before, Sara. I’m a devoted admirer of Kate Bush – my ‘go to’ album is Aerial & in particular, the second CD: A Sky of Honey. Redolent with birdsong it hugely informed ‘Ghostbird’ &, to a lesser extent, affected ‘Snow Sisters.’ You also know I have soft spot for the spellbinding Talk to Me of Mendocino & Kate & Anna’s music generally. I also agree with you 100% about Cerys’ version of Calon Lân. I have a large collection of her albums too! (Have you heard her singing ‘Arglwydd Dyma Fi?’ It’s lovely. I don’t only listen to music when I’m writing – there are times when I need to ‘zone out’ but don’t want complete silence. Then it’s Radio 4, set to ‘drone.’ That said, we are in agreement, pretty much, about copy edits. No distractions, no interference! Thanks for your lovely comments, Carol. As you say, we’ve talked about this before, and it’s a delight to find someone who shares my taste in music. We’re both fans of Kate Bush and the McGarrigles, and now we discover we both like Cerys Matthews too! I love ‘Arglwydd Dyma Fi’ anyway, and her voice makes it even more beautiful and heartwrenching. I enjoyed this post for all sorts of reasons. What a wonderful comment to receive from one of your readers who said, “it should be printed on plastic to save the paper from tears.” Wow! I’m intrigued about your book’s “Pure Heart” title history & I’ll read that post you provided. Hearts have been on my mind a great deal over the past few days. Yesterday my daughter Avonlea had to see a pediatric cardiologist from Stanford to check out her heart murmur. Thank God she’s fine. Before her appointment, she fought with her sister. My parents honeymooned in Mendocino, so I got a kick out of that song! I’m not a Kate Bush expert by any means, but I’ve always been in awe of her voice and her songs are amazing and utterly unique. When I wrote my book, I could only listen to instrumental songs (I know…how boring!) or else I’d drift into the song too much. I’ve written half a dozen songs over the years, and maybe because of that hobby, it was hard for me to detach enough from the lyrics. I hope that makes some kind of sense, at least a little, LOL! I searched for instrumental music that claimed to help one focus while writing, and naturally it was New Agey! 😉 I kind of liked it….but I prefer loud rock when I’m not writing!! I’m so glad Avonlea’s appointment went well, Dyane. We’re familiar with cardiology appointments in our family too, so I understand how worried you must have been in the lead up. Thank you for your lovely comments on my post. The argument between your girls made me smile – what a great line Marilla came up with! I think my first title ‘A Pure Heart’ was really boring, and that’s why none of my writing group could remember it. They wouldn’t have forgotten ‘A Black Heart’ though! I’m with you on the loud rock for general listening. Thanks for sending on the ‘brain’ music – I’ve got it playing while I write this, and I must say it’s pretty relaxing. It reminds me of the music I do yoga to. I’m not sure it would make me more productive, though – probably just more drowsy! I understand what you mean about lyrics being a distraction, but I seem to be able to tune them out. I can see that if you’ve written lyrics, though, you might not be able to ignore them. What a talented person you are! One of my ambitions is to write a song but I wouldn’t know where to start. I’m always looking out for a songwriting course, but they’re a bit few and far between around here. I personally like quiet, just the birdsong through the window. If there is music on I somehow can’t hear it. You’re certainly not alone in preferring to write without background noise, Ellen. Most writers I talk to are appalled at my need for constant music. I do remember reading in Mslexia about one writer who had to listen to heavy metal while writing. Not sure even I could do that!